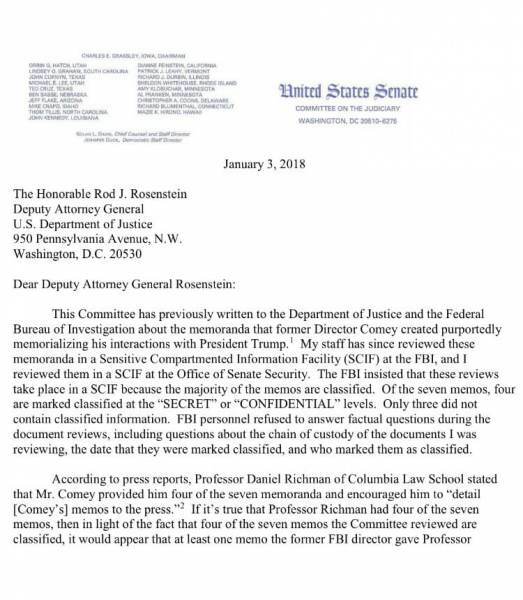 Senate Judiciary Chairman Chuck Grassley (R-IA) sent a letter to Deputy AG Rod Rosenstein and the DOJ Wednesday demanding answers on Comey’s memos. 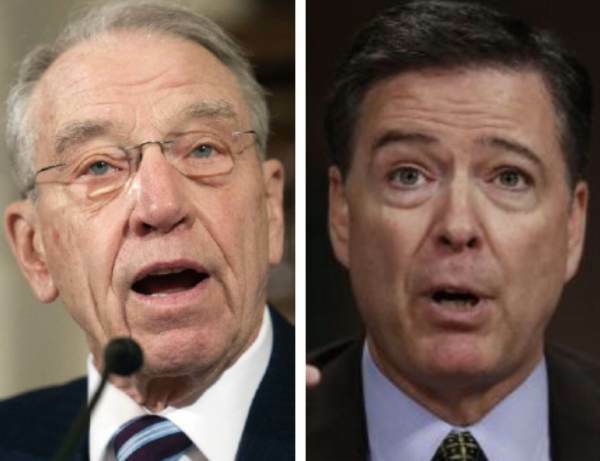 On Wednesday, Chuck Grassley questioned whether fired FBI Director James Comey violated DOJ policy after he gave his Trump memos to a friend to leak to the press. 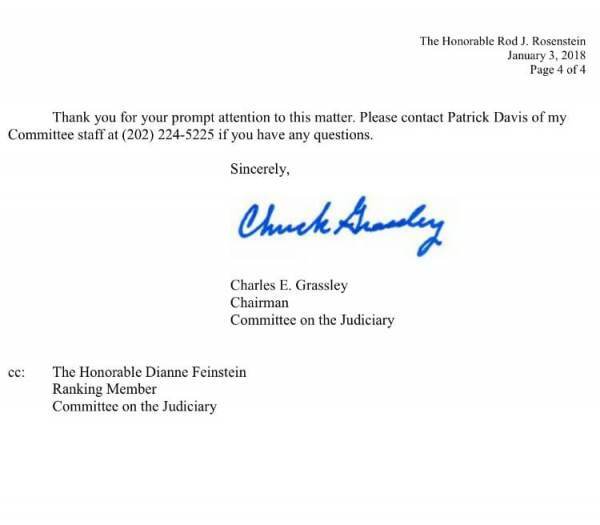 Grassley wants to know what Rosenstein has done as far as initiating an investigation into Comey’s handling of the memos. Comey had 7 memos total stemming from 9 conversations he had with President Trump. 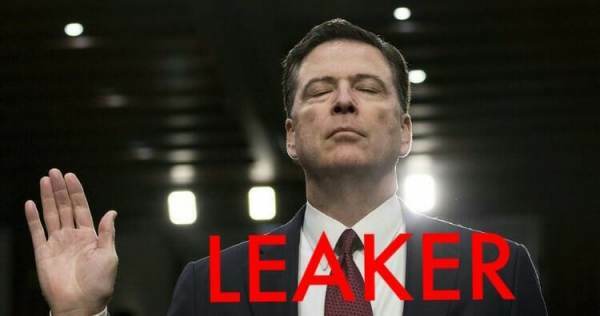 4 out of 7 of the memos contained classified information; it is possible Comey’s ‘confidant’ was shown classified information even though he does not have a security clearance. 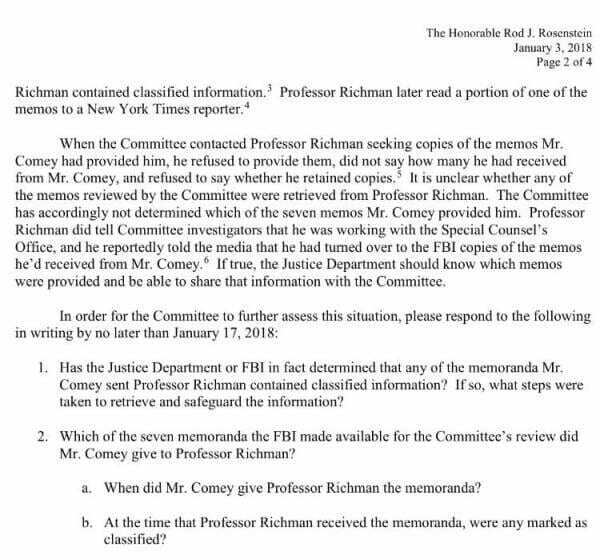 James Comey admitted to the Senate Intelligence Committee last June that he shared contents of his memos to a friend who’s a professor at Columbia University. He then told his ‘confidant’ to leak contents of the memo to The New York Times in order to prompt a Special Counsel. Comey admitted this after Sen. Susan Collins (R-ME), asked him why he kept the memos. She then asked if he ever shared any of them outside the DOJ. 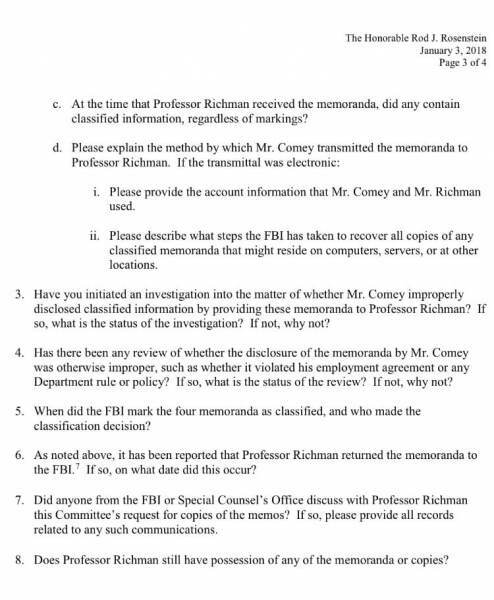 Grassley wants answers on both Comey and his “confidant” Daniel C. Richman. The reality is that Rosenstein is not going to do a damn thing about this. It’s way past time Rosenstein is removed from his post. 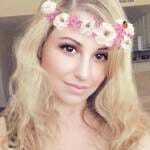 Where the hell is AG Sessions?